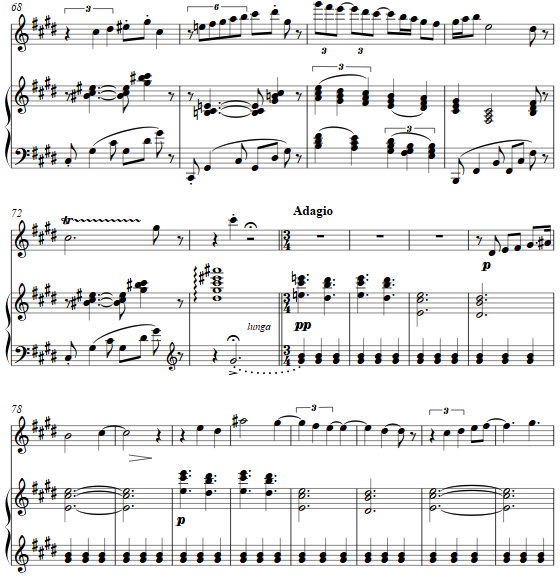 The first movement in a dance-like duple meter features broad-ranging melodic lines for the flute with some polytonal colors and chromatic scales as seasoning. 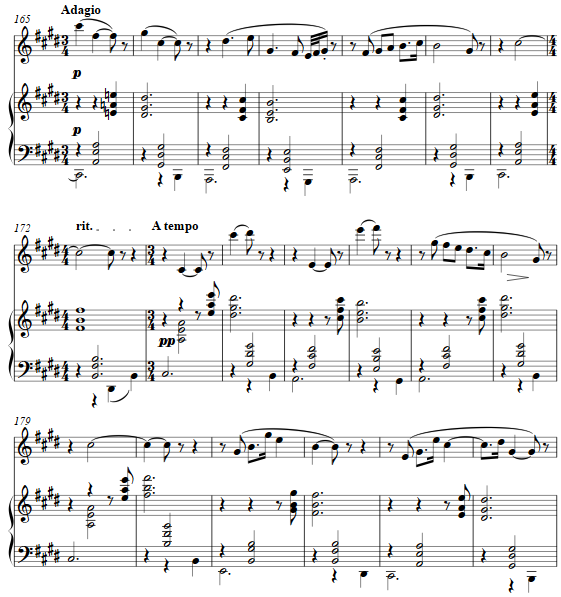 Contrasting episodic materials recur in later movements in a quasi-rondo shape though the work is other than a formal rondo. 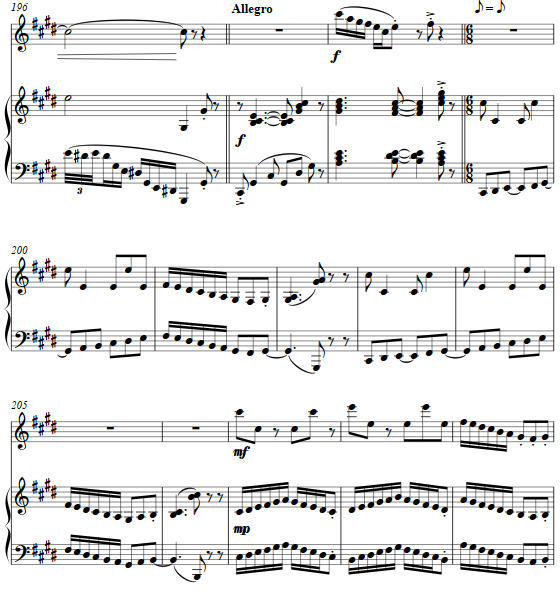 The second movement is an adagio, with a pedal based on the dominant minor of the work as a whole. Interplay between triple and duple rhythms in this slow tempo appear as it an improviso. 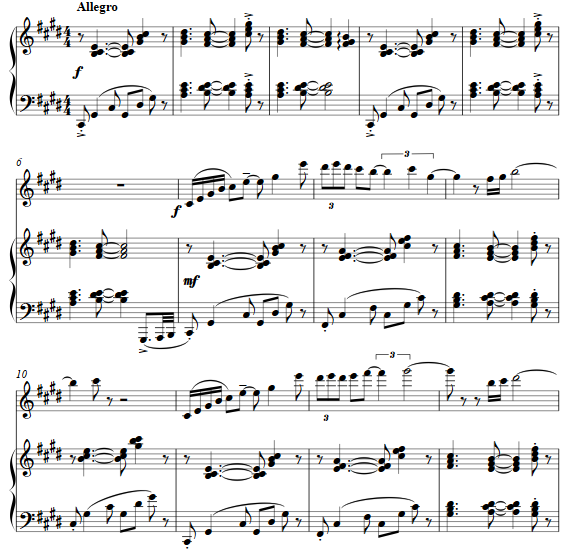 Another short change of character returns in a 3/4 adagio, as simple successions of chords in parallel make the base over which the flute adds various melodic content. After a return to some elements and textures from the opening movement, a short fughetta ends the work in an energetic up tempo.